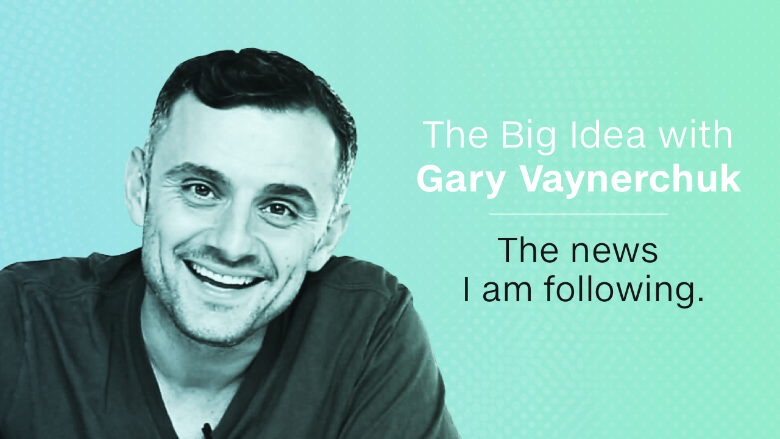 This week, the guest curator for "The Big Idea" on the CNN MoneyStream app is Gary Vaynerchuk. The Belarus-born entrepreneur and investor started his career by building up his family's liquor store into a multi-million dollar business. In 2006, he started the web series, Wine Library TV. Wine Library TV vaulted Vayernchuk to social media prominence and led to him writing four New York Times bestsellers and a slew of speaking engagements. In 2009, GaryVee, as he is known to his more than 1 million Twitter followers, started VaynerMedia with his brother. The digital advertising agency boasts clients such as GE (GE) and PepsiCo (PEP). Vaynerchuk is also a well-known angel investor and venture capitalist, investing in companies including Facebook (FB), Twitter (TWTR), Tumblr and Uber. Every day, you will see multiple stories appear in your stream that are hand-picked by the guest curator of the week. "The Big Idea" was curated last week by Ellevest CEO Sallie Krawcheck.